On this page you will be able to download my science specific resources that I publish on twitter and use in my lessons. Below are a series of exam assessment sheets. They are designed specifically for use with the OCR 21st Century A exam papers. The way that I use them is to get the students to complete the number of marks they were awarded for each question. They then complete the total number of marks, the number of marks gained for the six mark question and their overall grade. Students then identify the specific types of question or the science topics that they did well on. They identify areas that still need work. Finally, they use #RAG123 to evaluate their preparation for the test and they redraft the 6 mark question as a DIRT activity. 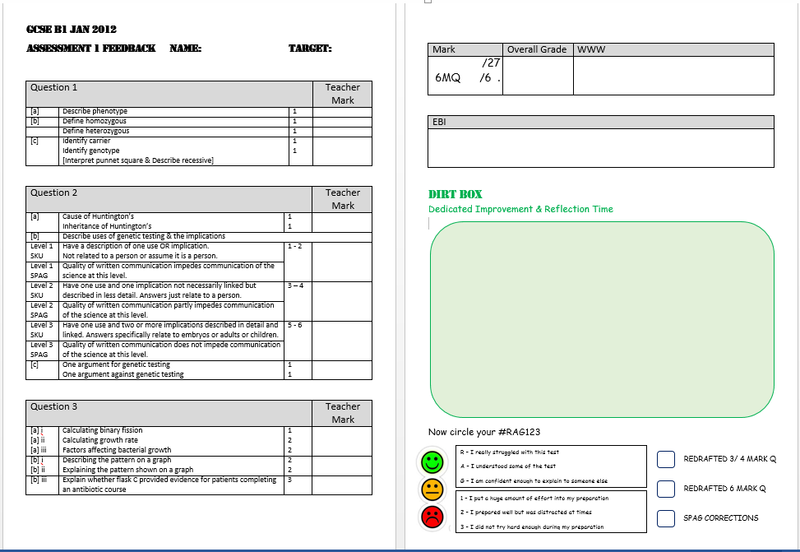 I intend to add assessment sheets for all the OCR science units as I complete them. Feedback welcome. 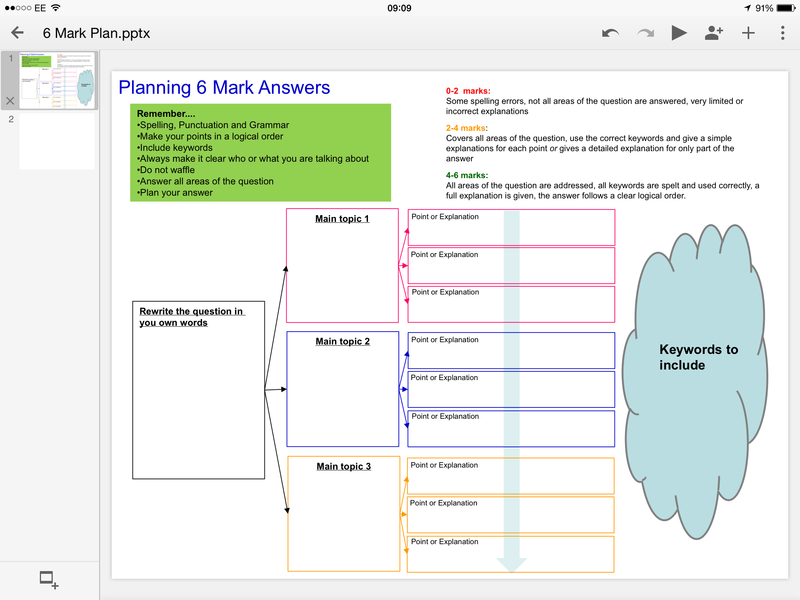 6 Mark Plan – I use this to support students in constructing their 6 mark answers. I first introduce the resource and we do a walk through of a recent 6 mark exam question. This means we already have examples that students can work on improving. Modelling how you would complete it for the question, pulling out the keywords, the key points from the question. You might need to do this a couple of times before they are able to use it successfully (depends on your students). I then give them the structure when they are completing a mock paper, to remind them of how to plan out the question. This seems to have helped to improve their confidence and the number of marks they get.